Full mouth restoration allows us to use a combination of cosmetic and restorative procedures to fix dental problems and give you the smile that you deserve. Some patients may be suffering from more than one dental issue, such as surface stains, crooked teeth, decay, gum disease, infection, and TMD to name a few. To fix issues and ensure you’re in optimal oral health, Smiles By The Sea can create a personalized treatment plan for you. If you are suffering from any of the dental problems mentioned above, the first step to your full mouth restoration is to come in for a personal consultation. Dr. Sniscak, dentist in River Hills, will employ cutting-edge tools such as digital X-rays to get a complete overview of your oral tissues. 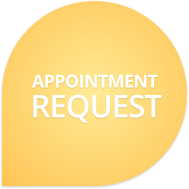 We will also go over your dental and medical history and review your needs and goals. Once we have compiled all the necessary details, we can craft a customized treatment plan to give you your dream smile. Our full mouth restoration procedures can include bonded fillings, dental crowns, hygiene services, laser treatment, teeth whitening or tooth bleaching, root canal therapy, tooth extractions, dental implants, porcelain veneers, Six Months Smiles, and more. Our practice combines both cutting-edge cosmetic and restorative techniques to give you a healthy, gorgeous smile.